ORIENT PUBLICATION: Red Bull Road to Rookies Cup returns with the best of MotoGP to India! India, June 1, 2017: Young biking enthusiasts, between 12 and 16 years of age, will have a chance to showcase their prowess on an international stage, with the 2nd edition of Red Bull Road to Rookies Cup. It not only defines a new category in the sport in India but also gives the best motorcycle racer in the country a chance to be a part of the internationally acclaimed Red Bull MotoGP Rookies Cup 2017! 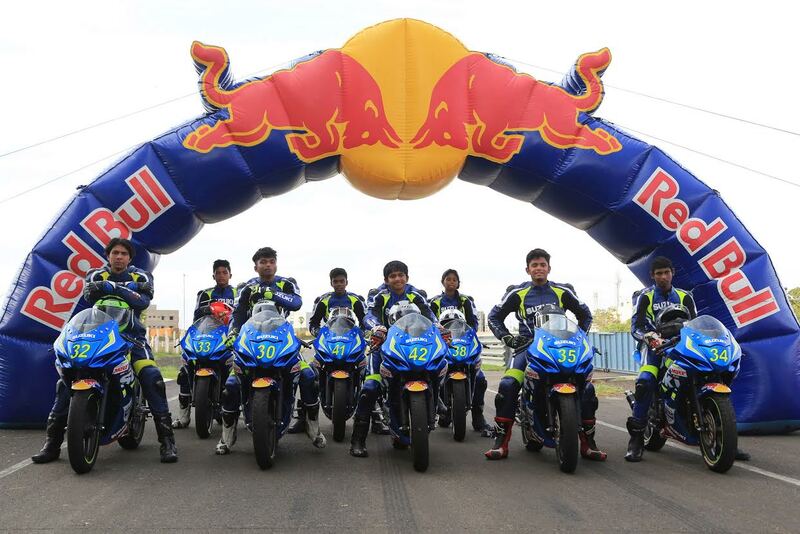 The programme made its debut in last year's Suzuki Gixxer Cup where the MMRT racetrack in Chennai witnessed an exciting finish to the first edition of the Red Bull Road to Rookies Cup in the country. Seven talented, young Indian riders went head to head in the final round in a bid to win the first ever-Red Bull Road to Rookies Cup held in India. After six races spread across two rounds, Sachin Chaudhary from Ahmedabad was crowned the winner, in a true test of talent. He went on to represent India in Spain at the qualifiers of the Red Bull MotoGP Rookies Cup in Spain. Though the Ahmedabad-based rider could not make it to the finals of the selection event held in Spain - the Indian came back with a valuable experience. The first round (June 4) will be held at Meco Kartopia in Bangalore, before moving on to Aizawl, Mizoram at the Airstrip (June 10), followed by Pune at Rayo Racing's track (June 18) and finally Greater Noida at World of Wonders (June 25). The selected riders will then compete against each other in the three rounds for Red Bull Road to Rookies Cup, held alongside the Suzuki Gixxer Cup to be held at Kari Motor Speedway (Coimbatore), during the JK Tyre National Racing Championship. Red Bull MotoGP Rookies Cup, since its inception in 2007 has grown into one of the most thrilling 2 wheel spectacles in the world. The Rookies Cup has released new stars into the world of Grand Prix racing; both Moto2 and Moto3 World Champions in 2015 were ex Rookies. Every year the level of competition has climbed and this year's intake are set to raise the bar yet again for the 11th running of the Cup.